Steamer for use in microwave ovens. Three piece steamer for microwave ovens with a vented lid. Steaming makes good nourishing cooking easy. None of the vitamins and minerals are boiled away into the cooking water. Steam vegetables, seafood, chicken fillets, corn on the cob and fish fillets in minutes. Height (including vented lid) 100 mm. 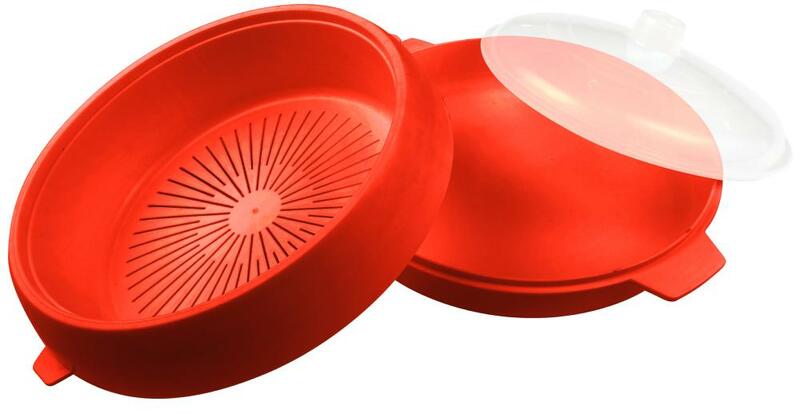 The steamer consists of the base, the steaming tray and an adjustable vented lid. Includes instructions on use and there are also some suggested cooking times printed on the packaging. 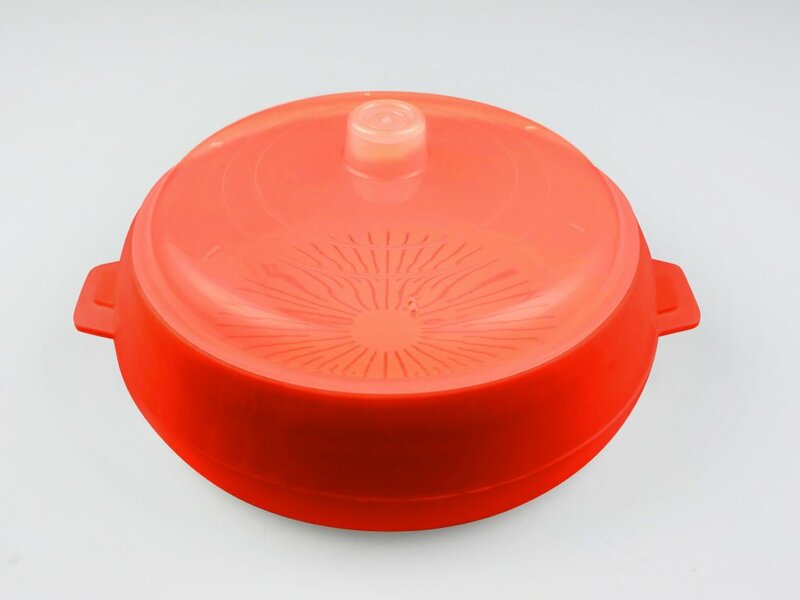 Removing the steaming basket turns this steamer into a handy 1.5 litre sized dish to cook, freeze and reheat all types of food. Not suitable for gas or electric hobs.